Description: Whorls almost straight sided, suture impressed. Spire whorls sculptured with four spiral ribs, the uppermost beaded, two below smaller, and the lowermost the strongest. 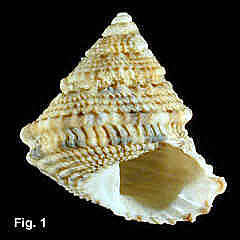 Axial lamellae of same spacing as spirals present in interspaces, dividing surface into square pits. Lowermost rib forms strong peripheral keel on body whorl. Base with eight spiral ribs, joined by axial lamellae. Umbilicus closed. 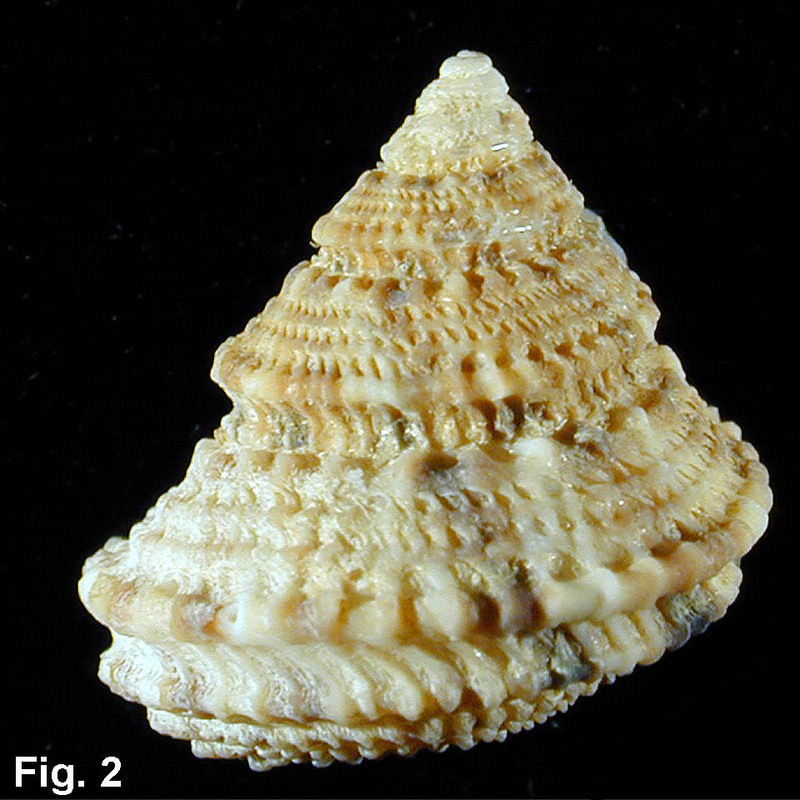 Columella with a weak nodule centrally in juvelile shells, separating into three plications in mature shells. Outer lip thin, 7-10 strong lirae in aperture. Colour fawn, sometimes with brown spots or axial streaks. Size: Up to 16 mm high. Distribution: Endemic to Australia; Port Hedland, WA, to Twofold Bay, NSW. Habitat: Taken in 10-200 m. Rare in NSW.